Looking for a unique and tasty dessert recipe?? Well, we got just the thing to WOW your guest or to entertain friends and family over the holidays! 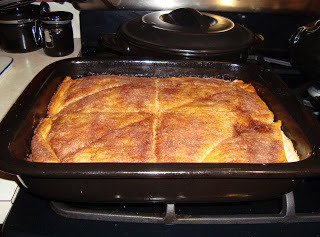 Unroll 1 can of crescent rolls into the bottom of a greased Xtrema 4 Qt Ceramic Oblong Baking Pan . Don’t press seams together. Mix cream cheese with 1 cup of sugar and vanilla; spread over rolls. Place second can of rolls over top. 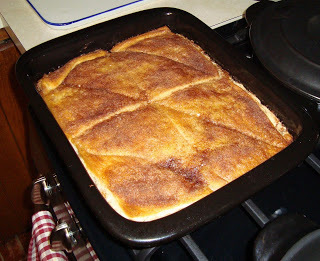 Pour melted butter on and top with mixture of 1/4 cup of sugar and 1 teaspoon of cinnamon. Bake for 30 minutes at 350 degrees. This very tasty dessert recipe has been passed down through the family and we don’t know where it came from but we do know that it is Xtrema Good and it will WOW anyone’s taste buds! !